Centre back Emanuel Mammana is a powerful defender currently playing in Ligue 1 for Lyon. Having made the breakthrough for Argentinian giants River Plate, Mammana made the move to France in 2016 and has since forced his way into Lyon's first team. The 6-foot defender is truly gifted for his young age of just 21 and already possess a natural skill for defensive positioning and strength in the air. Although not the tallest central defender, Mammana makes up for this with his tactical, defensive approach. Mammana made his first international appearance in 2014 and has since played two further games for the national side. Since forcing his way into Lyon's first team at the end of the 2017/18 campaign; further international honours surely beckon for Mammana. Lyon has struggled in recent seasons domestically, with PSG and Monaco both being successful in Ligue 1. However, at Lyon, they are quietly building up a quality team of young players. Mammana is expected to lead the young raft of talent coming through at the French side. At River Plate, Mammana won the Premiera Division, the Copa Sudamericana and Copa Libertadores and is hopeful to continue his successful streak eventually in France. 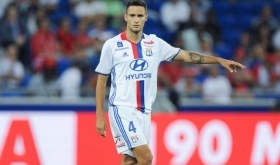 One question is how long Lyon can keep hold of the talented defender, with the likes of Real Madrid, Chelsea, Arsenal, Barcelona and Juventus all keeping a close eye on Mammana's progress.